 Each of our Hidden Serenity Bed and Breakfast rooms and suites was designed to provide you with the best in comfort and luxury in Wisconsin. Taxes and fee are only 5.6% at Hidden Serenity. 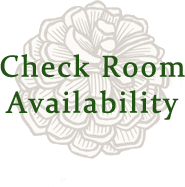 Please note that actual room pricing is subject to change and demand, and displayed in our reservation system at the time of booking. 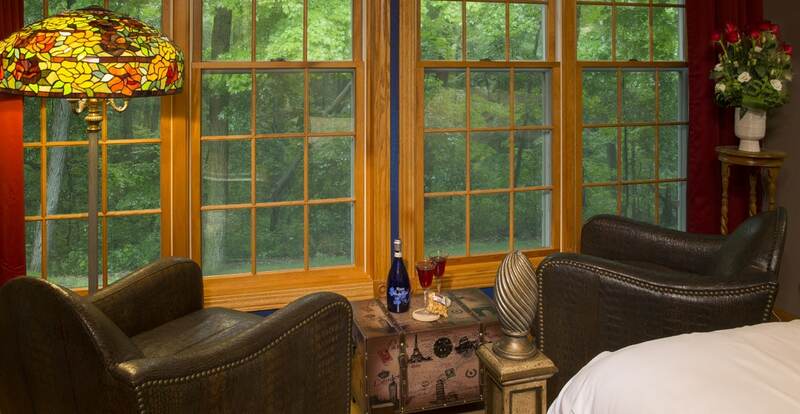 At Hidden Serenity Bed and Breakfast, we embrace comfort, quality, and your private space. Each of our luxury rooms is decorated and appointed with these pleasures in mind. Available in the common area – A Keurig machine with a wide selection of coffees, teas and more, ice machine, microwave, plates, cups and utensils, extra towels and blankets. This room touts a romantic two-person Jacuzzi tub and a separate large tiled glass-block shower in a spacious bathroom sporting a breathtaking 18-foot ceiling. 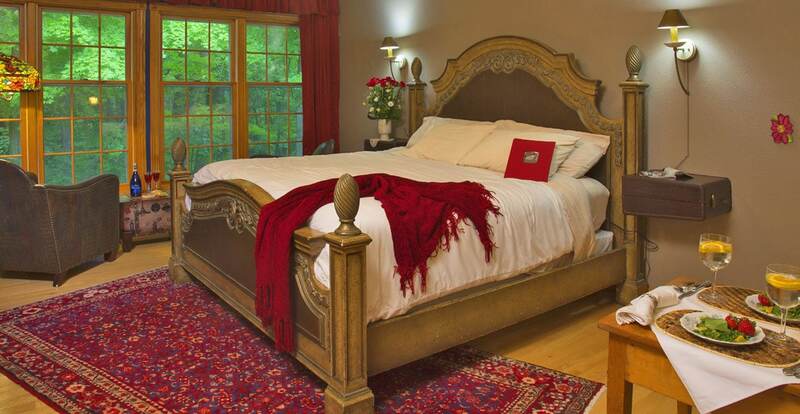 The romance continues with a floating bed and a beautifully stained glass headboard on the pillow-top king sized bed. An antique mantle graces the wall next to the archway to your private bath and two chairs sit next to your glowing fireplace. 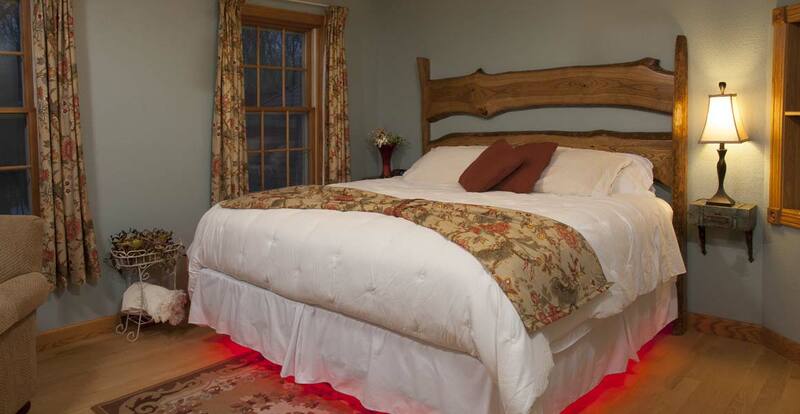 You may choose to enjoy sensuousness mood lighting or abundant natural light. Top your evening off with a romantic movie on your hidden TV screen. This luxury room is conveniently located on the first floor. Indulge yourself with a stay in our premier suite. After a day on the trails, you may want to soak in the double slipper tub or use the corner shower in your private bathroom. 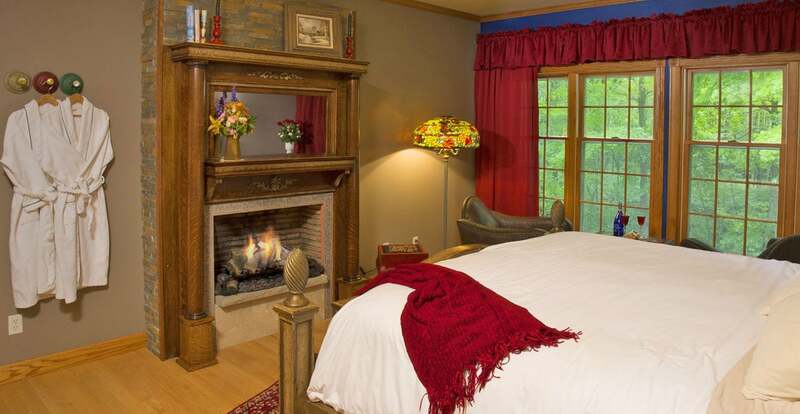 Enjoy the ambiance of the flicker in the antique fireplace from your pillow-top king-sized bed or watch a movie on the hidden LED-LCD TV screen. Wake up in the morning to a full hot breakfast in the dining room. Special amenities unique to this room only include a personal Keurig machine and a high powered monocular situated on a tripod in front of the wall of windows that has a breathtaking view of of woods. Located on ground level, this suite is spacious, and comfortable with two leather chairs to relax in. 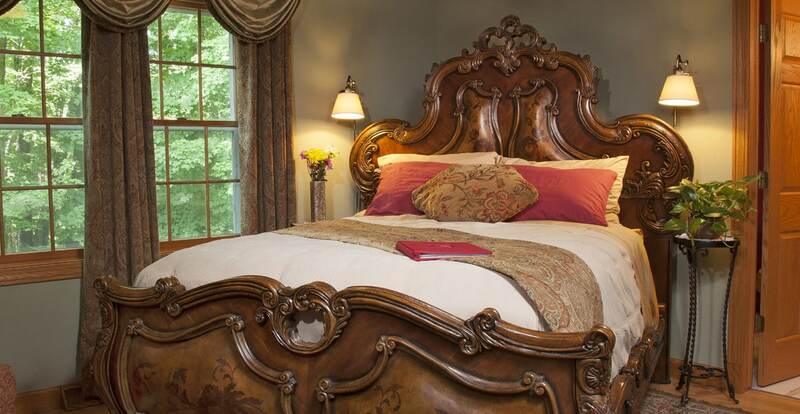 Romance abounds in this room featuring a king-sized Ralph Lauren bed. Enjoy the hidden LED-LCD TV screen and the warm glow of your century-old fireplace. South facing windows offer natural light and views of the surrounding wildflower area. 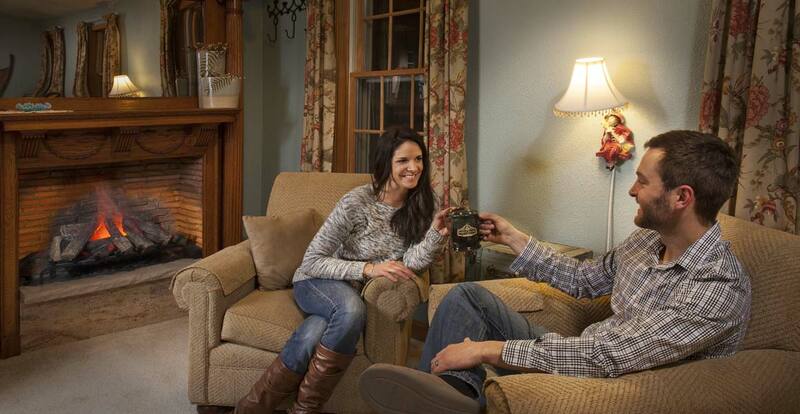 Two comfy leather chairs In the room offer a great place to sit back and refresh after a day in the Kettle Moraine. 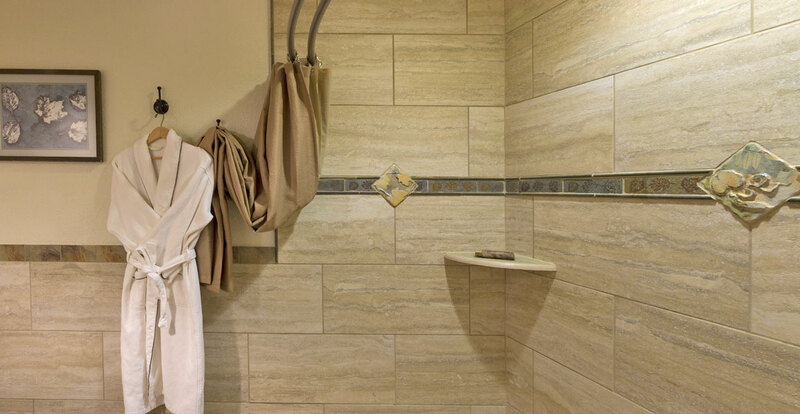 A generous two-person walk-in shower with various jets and showerheads awaits you in this custom-tiled private bathroom that touts a heated floor and Kohler Pheasant sink. You will lose yourself in comfort and luxury in this spacious room. 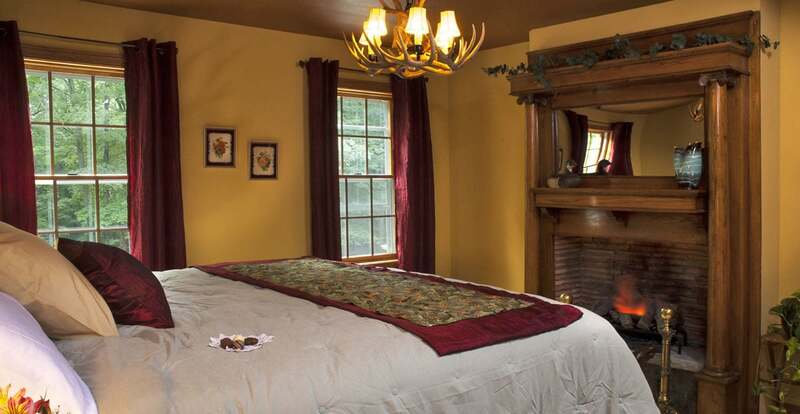 Enjoy a peaceful night’s sleep in your king-size pillow-top floating bed after a day exploring the Kettle Moraine or surrounding areas. Sit back and read a book or a magazine on one of the two comfy chairs in front of the antique fireplace and hidden LED-LCD TV screen. 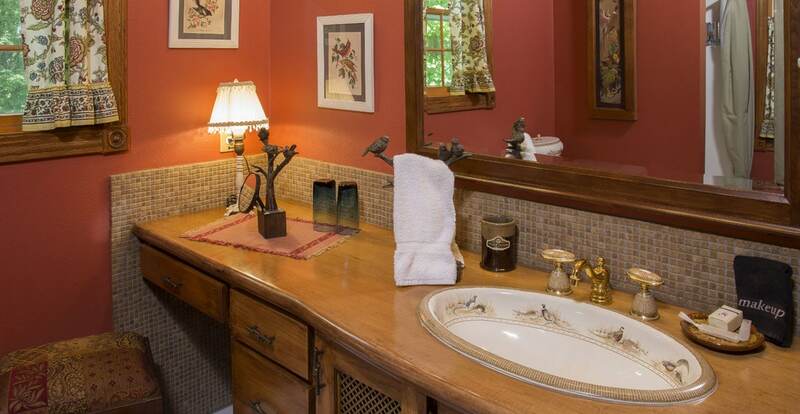 The bathroom features a gorgeous hand-made sink, heated floors, light fixture and tiling by local artisans. The raw-edge headboard and other fixtures in the room create a warm atmosphere in which you will wish you could stay longer. Unique to this room is the record player and selection of albums to take you back a few decades for your listing pleasure. 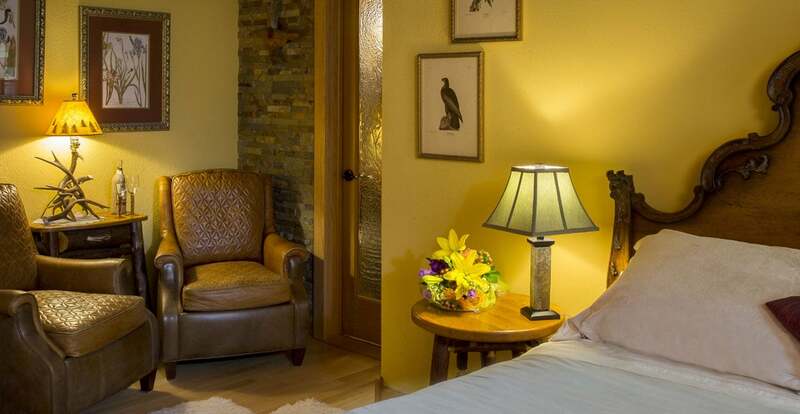 Enjoy peaceful woodland and wildlife views from this room. 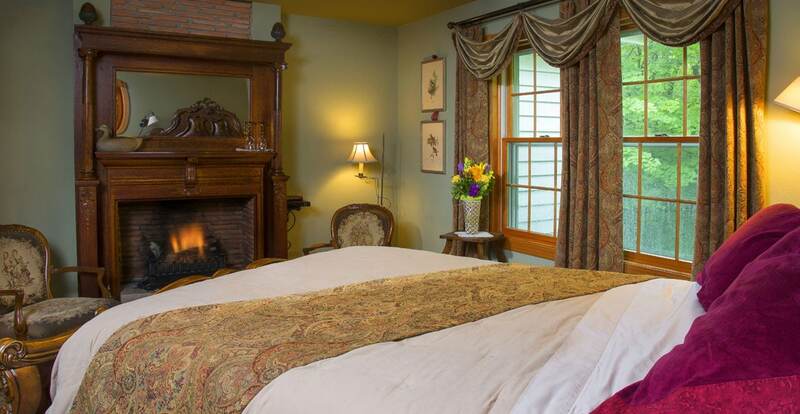 Treat yourself to luxuries such as heated bathroom floor, flickering century-old fireplace and hidden LCD-LED TV screen. 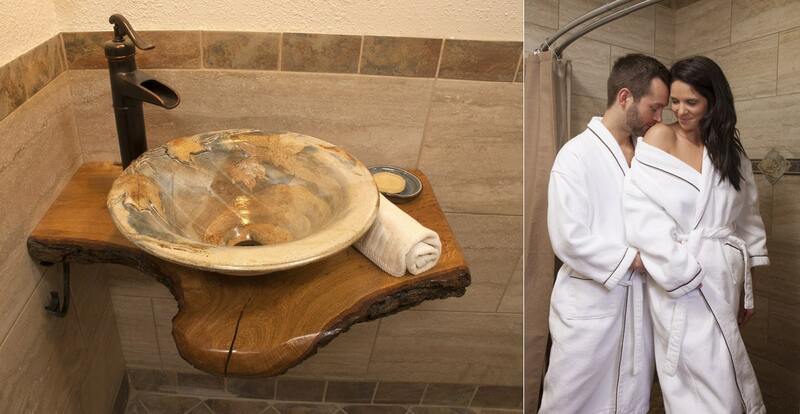 Take a relaxing shower or experience the artisan Kohler sink and toilet with detailed pheasant prints. Feel like royalty and enjoy a restoring night’s sleep in the Armani designer queen-sized bed. Two chairs in the room offer a place to relax and read an soak in some “away time”.